An increase in the packaging targets has been proposed by Defra and the devolved governments that will last up until 2017. Increase the overall packaging recovery rate by 1 per cent each year, from 74 per cent in 2012 to 79 per cent in 2017. The proposed targets would also see glass recycling split into sub-categories to boost the amount of glass that is re-melted rather than sending for use as an aggregate. The consultation proposes that there should be a limit on the amount of glass which can be recycled into aggregates and this should be counted towards the UK targets at its 2008 level, which is approximately 565,000 tonnes. The targets have been drawn up following recommendations from the Advisory Committee on Packaging and a consultation on the new targets will run for eight weeks until 10 February 2012 with a final decision announced in the 2012 Budget. Under the proposals, the Government has put forward three different options regarding the level at which targets should be set for the period 2013 to 2017. Environment Secretary Caroline Spelman said: “Christmas is a time when more than ever, we all notice the amount of packaging that comes with the things we buy. An alarming amount of this is still going to landfill. Alupro executive director Rick Hindley welcomed the higher targets for aluminium packaging, as well as the reassurance this would give to the Packaging Recovery Note market. He added: “The consultation represents a chance to raise targets and maximise recycling performance for aluminium and all other packaging materials. “The continuation of static targets will not help the aluminium packaging industry. New, more challenging recycling targets are needed to ensure we make the most of the aluminium and wider metal packaging industries’ investment which has under-pinned continued year-on-year improvements in recycling levels. 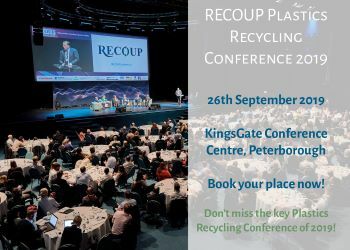 “The industry’s desire to maximise recycling performance is as strong as ever and industry-led programmes have already achieved some significant results. In 2010 Every Can Counts saw over 27 million drinks cans captured from workplaces around the UK for recycling while MetalMatters, the new programme managed by Alupro, is proven and has the potential to significantly improve kerbside recycling volumes by boosting capture rates for metal packaging and indeed other materials too. “In addition, we welcome the significant proposal to bring the measurement of our recycling performance on to an equal footing with all other EU countries. Aluminium used in composite or laminate packaging that cannot be mechanically separated for recycling, should not be counted as aluminium packaging as defined in the Packaging and Packaging Waste Directive.